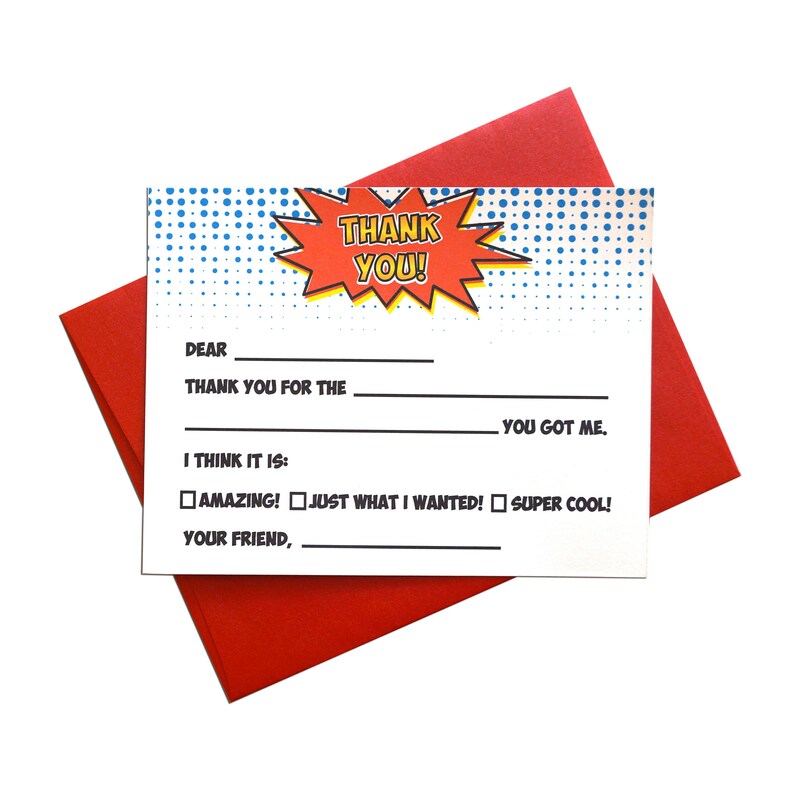 Thanking your guests is easy with this fun comic book style thank you note. This thank you card is fill in the blank so you or your child can easily fill it out. This thank you card measures 4.25" x 5.5" and is set up to print on an 8.5" x 11" page. Four thank you cards come on a page. This thank you card will fit an A2 envelope. Once you've completed your purchase, your file will be sent to you via email. You can also access your file directly from Etsy by looking under "Purchases". Print your thank you card as many times as you wish! - This file is for PERSONAL USE only. - Resale, total or partial reproduction, and file sharing are PROHIBITED.